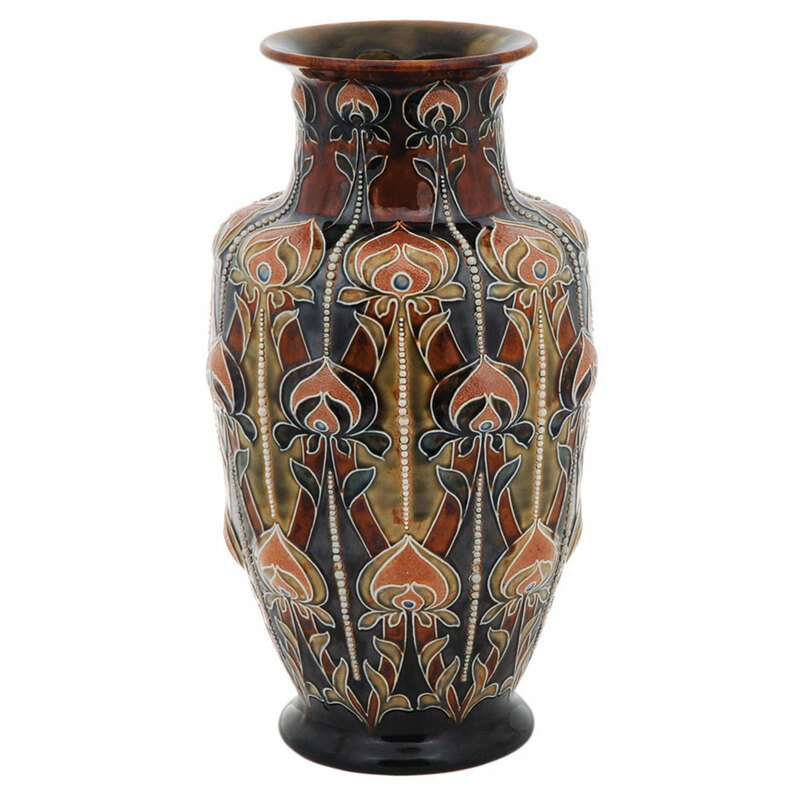 Two hundred years ago, the first Doulton Pottery was founded beside the River Thames in Lambeth, London. 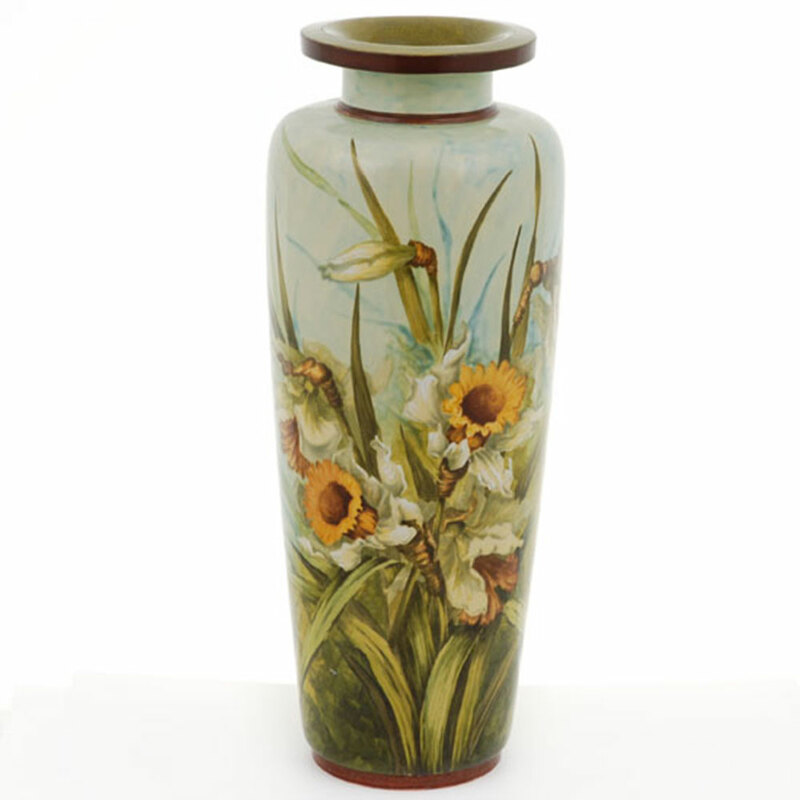 Initially John Doulton made bottles in salt-glazed stoneware for the domestic market and spirit trade. 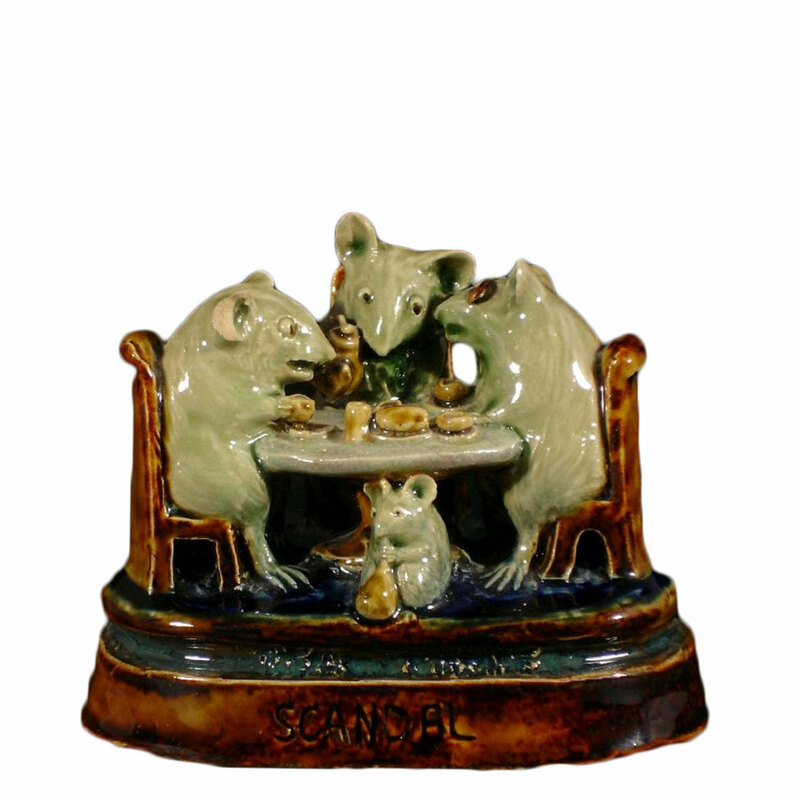 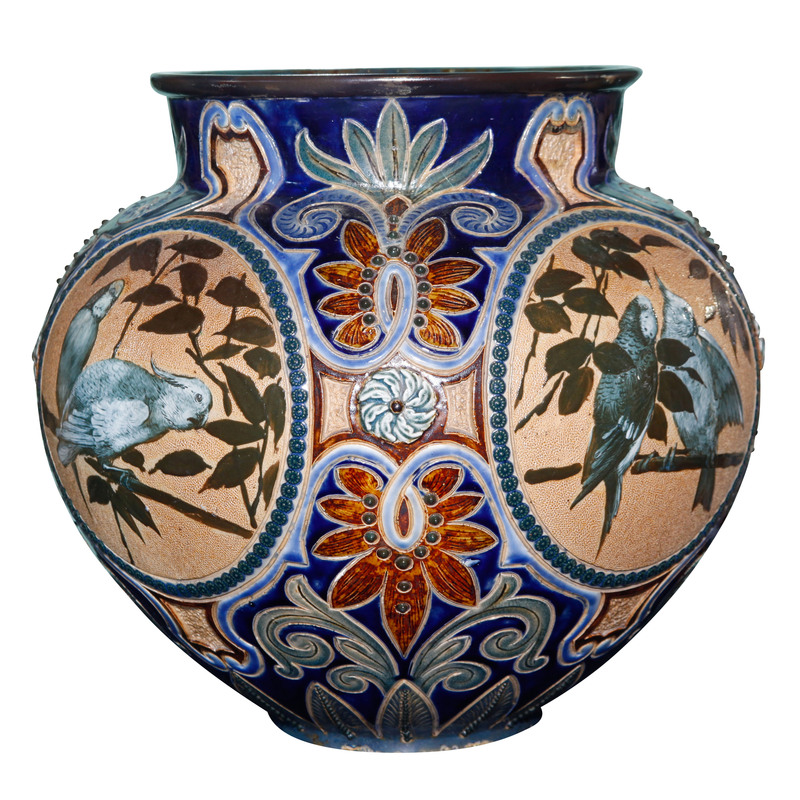 His son Henry expanded into drain pipes before experimenting with art pottery and opening the Lambeth Studio in 1871. 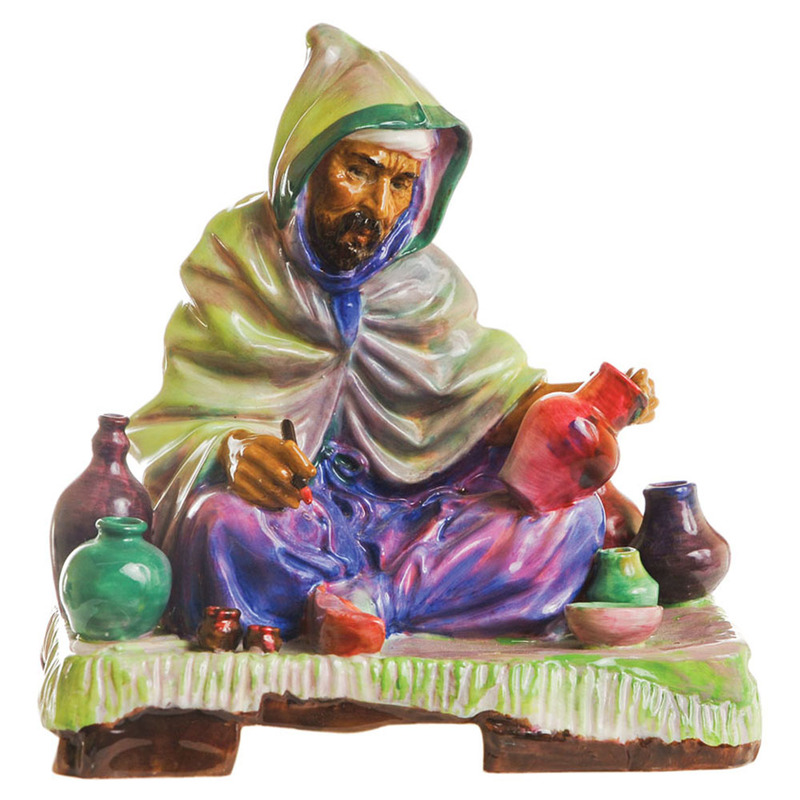 Students from the local school of art incised and applied designs on stoneware art pottery, which became known as Doulton ware. 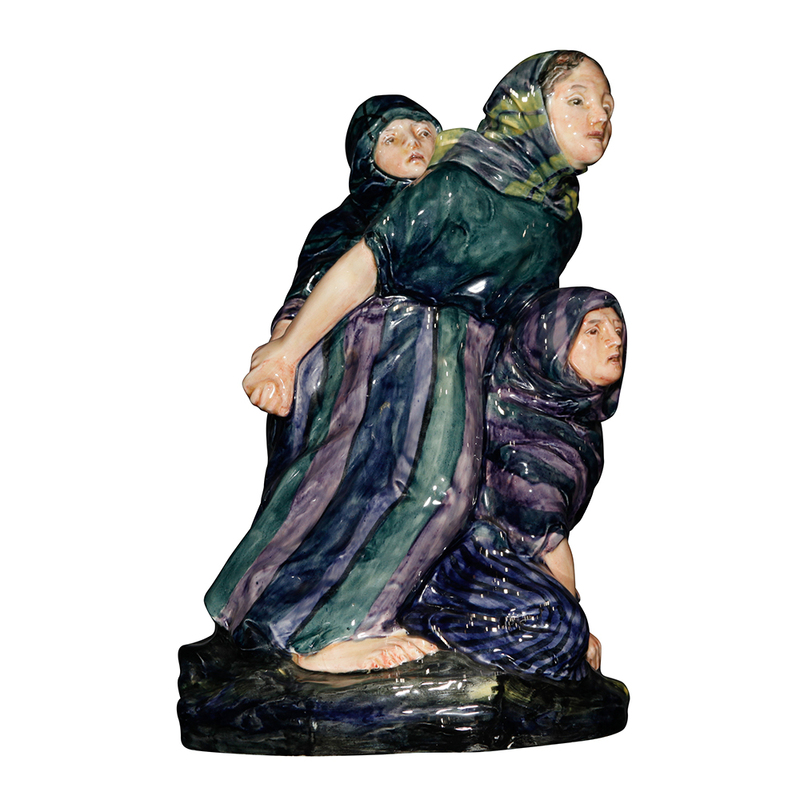 By the 1880s the Lambeth Studio employed more than 300 artists, mainly young women, who also painted earthenware vases and plaques known as Lambeth Faience. 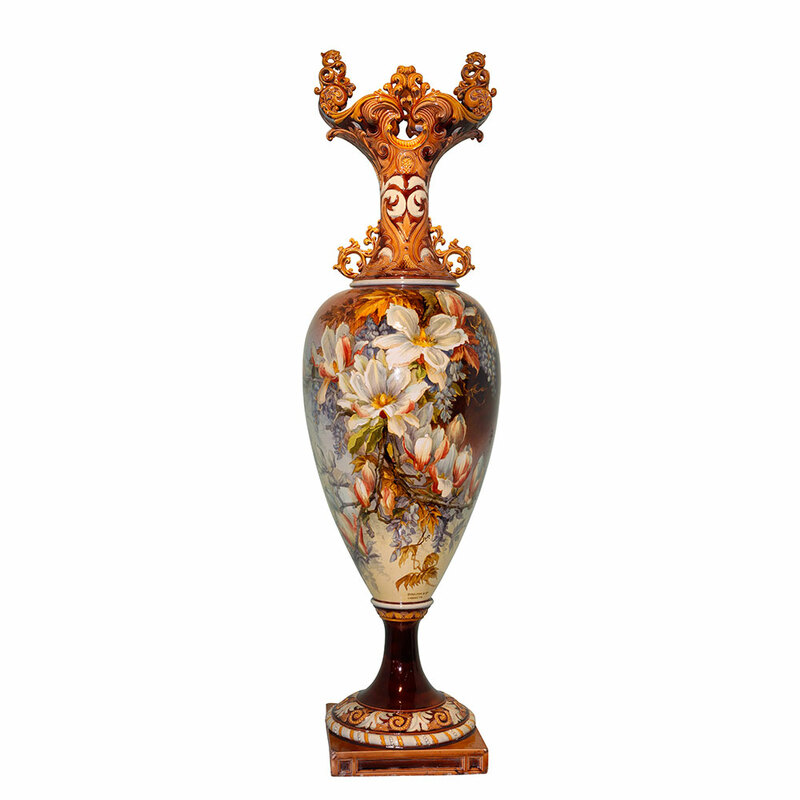 Queen Victoria was an early admirer of Doulton ware, ordering vases for Windsor Castle and knighting Sir Henry Doulton, the first potter to receive this honor. 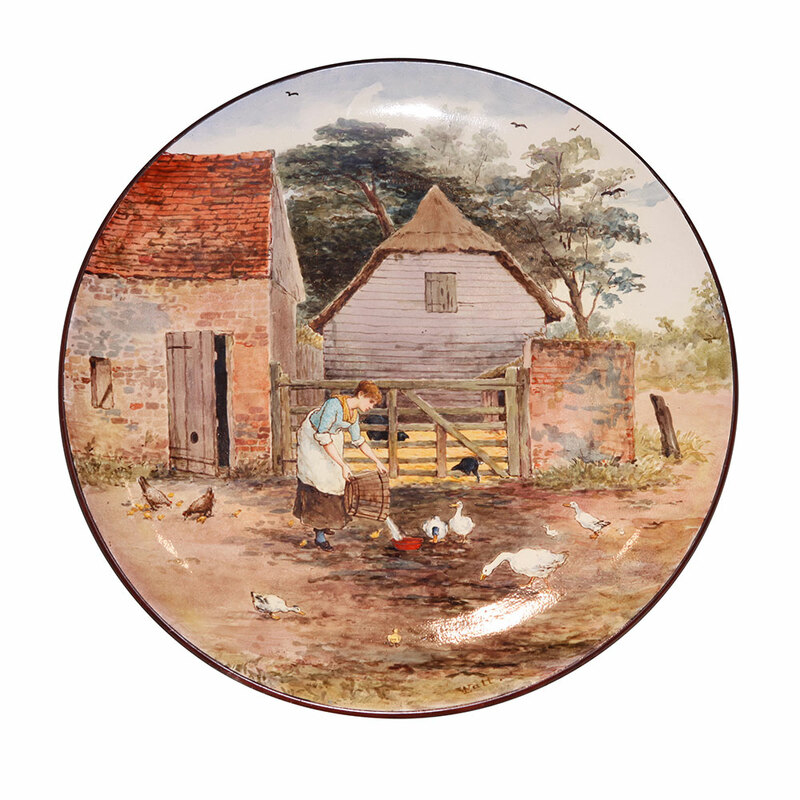 Henry Doulton expanded his business to Staffordshire in 1877 and acquired a factory in Burslem, Stoke-on-Trent to make tableware. 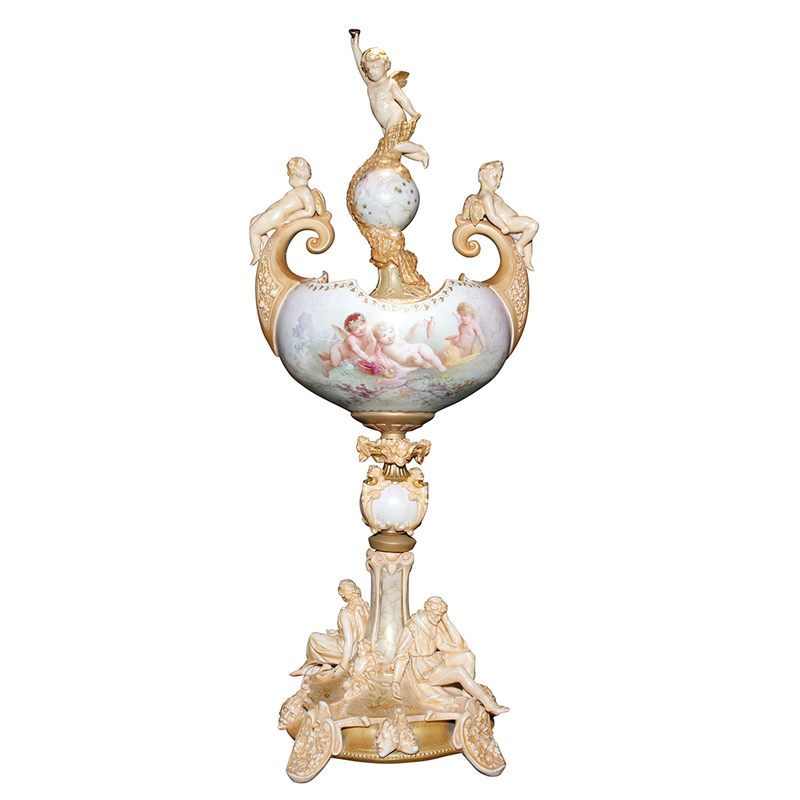 A bone china factory was built in 1884 and artists at the new Burslem studio specialized in lavishly gilded vases, expensive tea wares and dessert services. 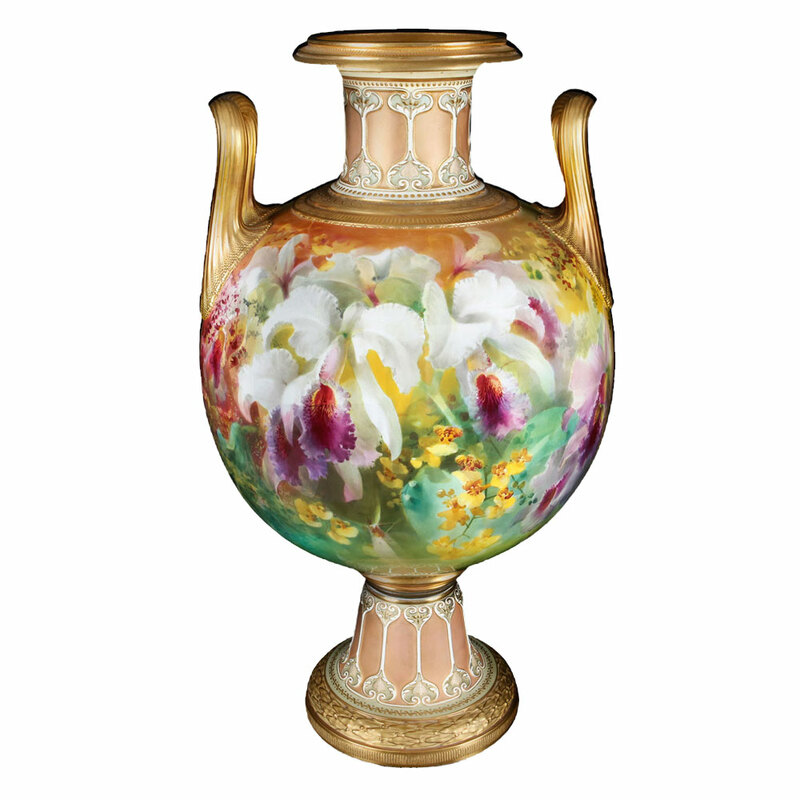 Under the leadership of art director John Slater, talented artists painted flowers, landscapes, portraits and figurative scenes on beautiful bone china vases. 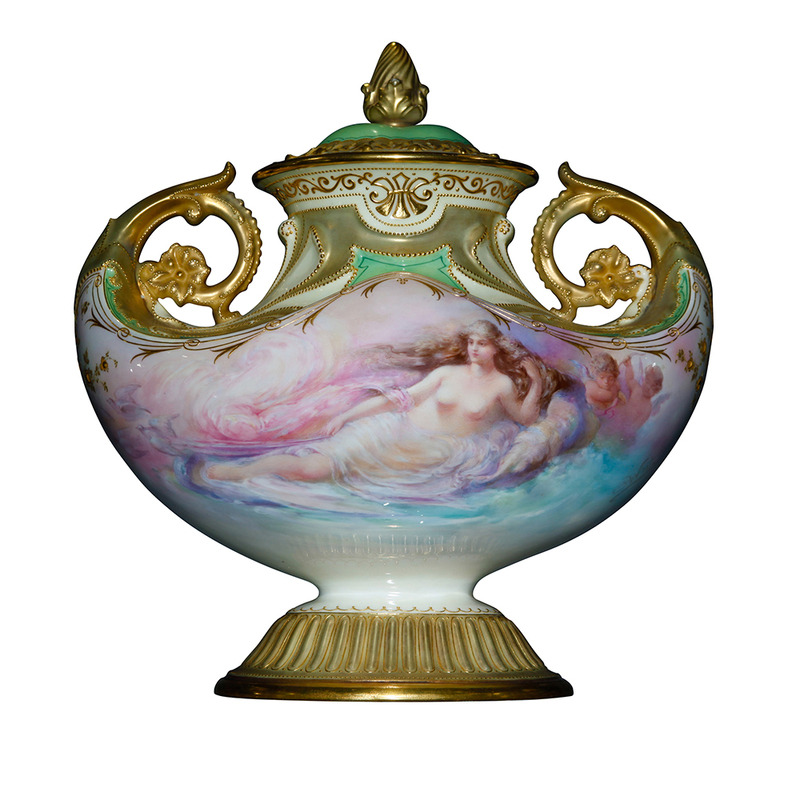 The finest art wares from the Burslem art studio won many awards at the international exhibitions of the era, including Chicago in 1893 and Paris in 1900. 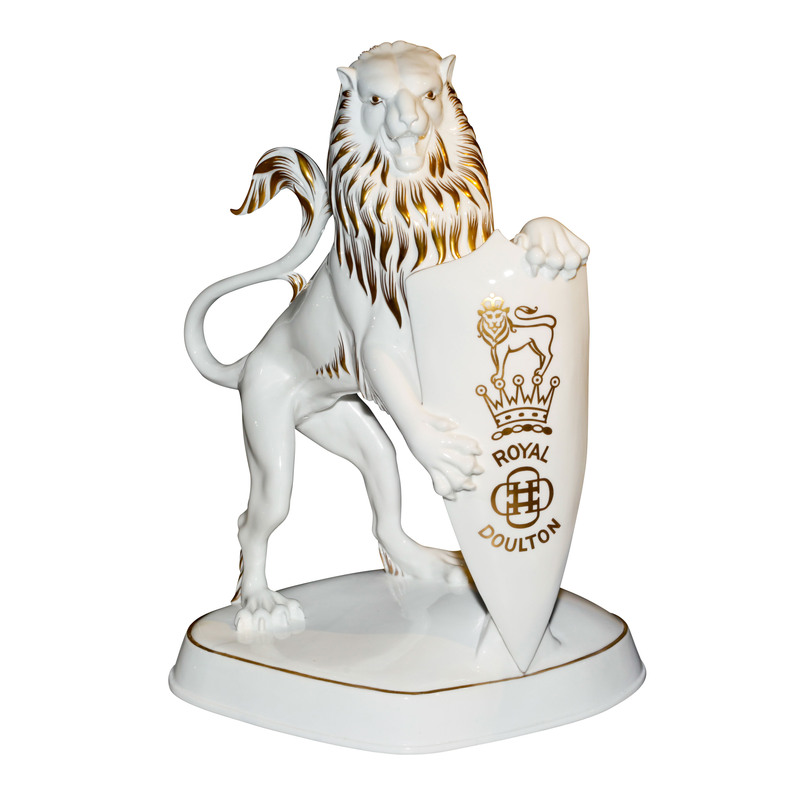 In 1901 the Royal Warrant and the privilege of using the Royal Doulton name were bestowed on the Doulton Potteries by King Edward VII. 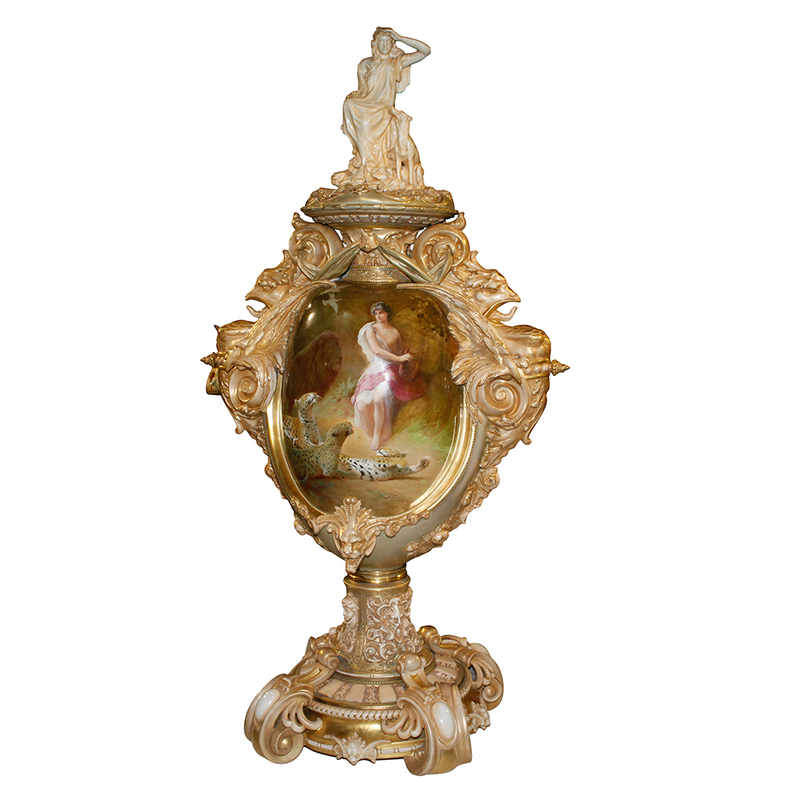 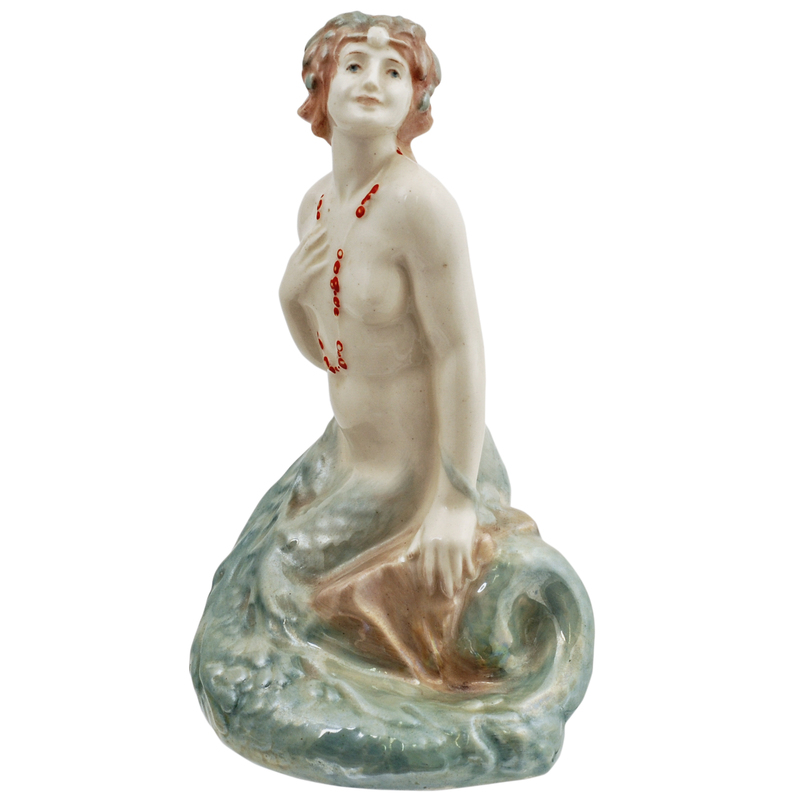 A revival of Staffordshire figure-making was led by Charles J. Noke, who became art director after the launch of the new figure collection in 1913. 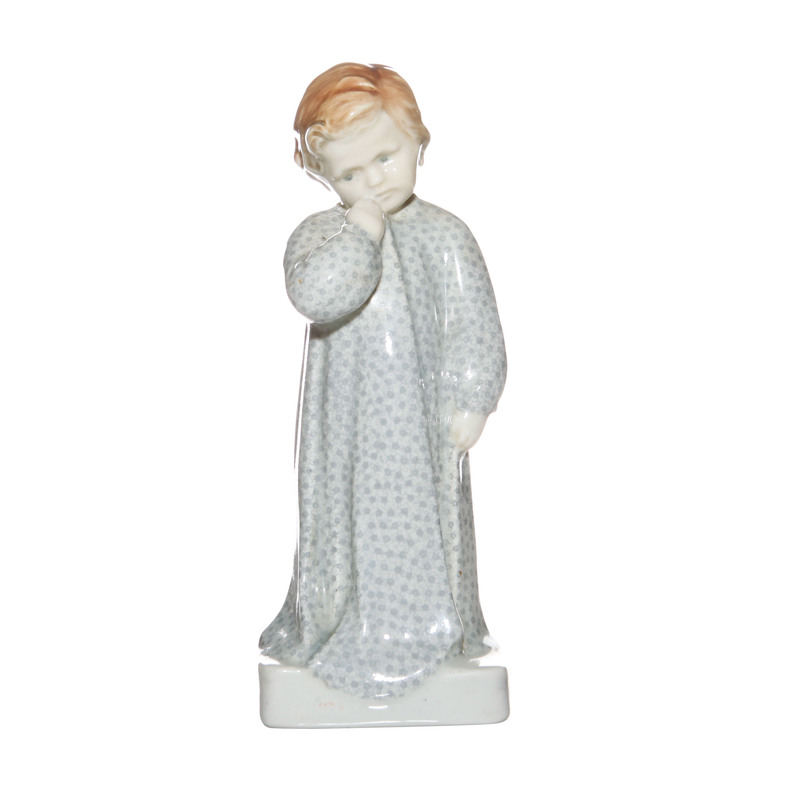 The first figurine was named Darling by Queen Mary during her visit to the Royal Doulton factory. 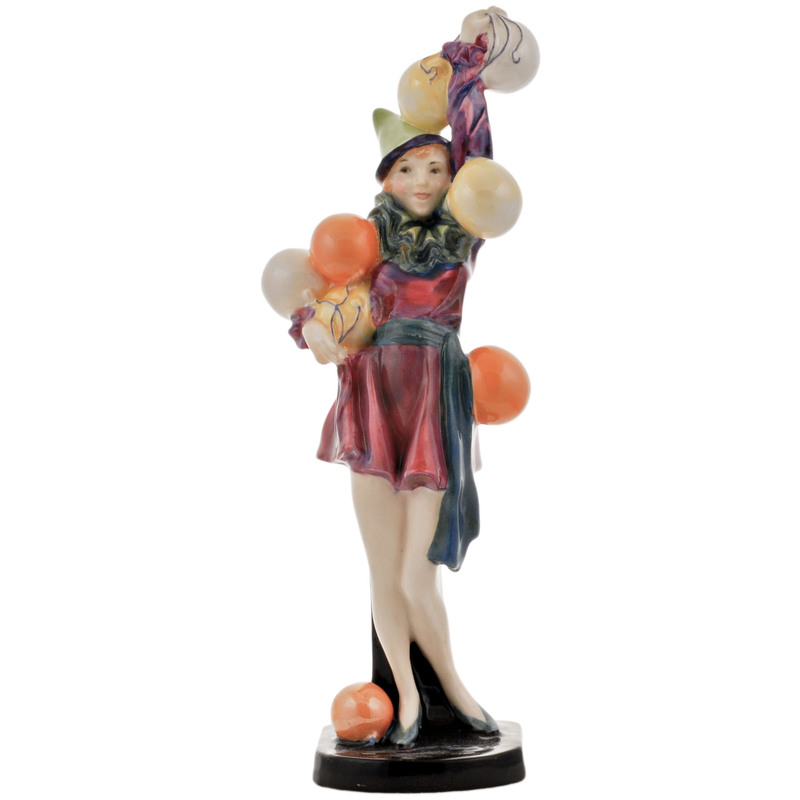 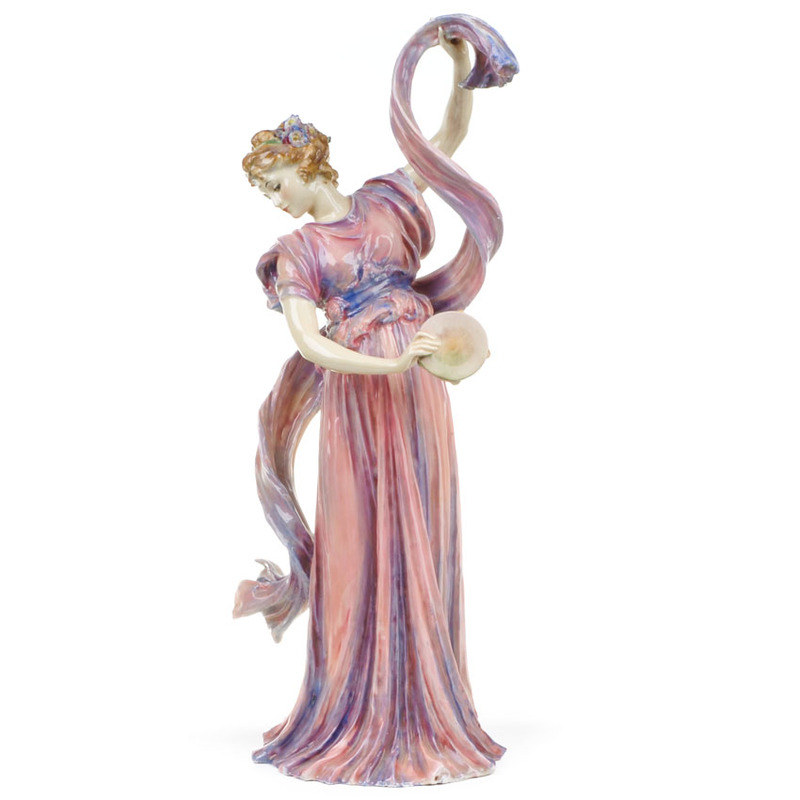 The Royal Doulton HN figure collection has continued for over a century with new child studies, street vendors, fashionable ladies and stars of stage and screen. 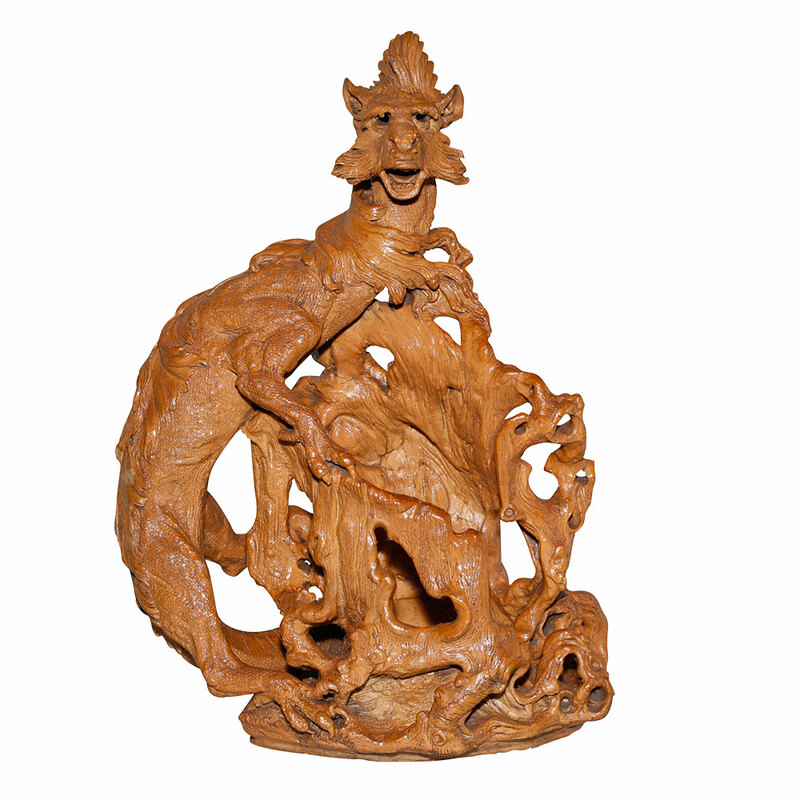 Charles Noke also revived the Staffordshire toby jug tradition with his collection of character and toby jugs portraying popular personalities from theatre, literature and legend.